If you've followed my blog for any length of time (and if you have thank you so much!) you will know that I left my old job a few months ago. It was a good job, stable and I was able to do it with my eyes closed and twirling a few plates at the same time! Despite that, there were several reasons for leaving and I wanted to share a few of them for others who might be having thoughts about their 9-5 grind. I think one of the biggest factors in my decision to leave was the sense of not being appreciated for the skills and experience I brought to the job. I was an expert in the field I worked in - I knew much more than I needed to do the job and that made my boss's life a LOT easier. 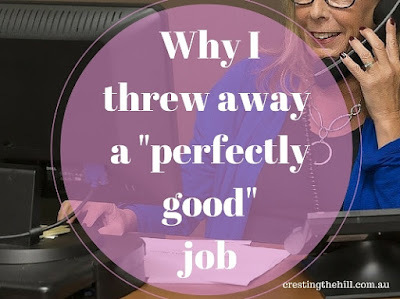 I never expected to be patted on the back all the time, but a little acknowledgement of what I brought to the job would have gone a long way to making me decide to stay. This goes hand in hand with number #1 - if someone is doing a good job then reward them for it. The pay rises don't have to be big but an annual increase makes the person feel that the effort they put in is seen and appreciated. If the business is struggling then this might not be possible, but I worked for a man who made millions and he begrudged his employees an annual pay rise - no wonder there was an undercurrent of dissatisfaction that continually seethed below the surface! When I started working virtually full time we needed the extra income to pay for the added costs that come with having a family. Our children weren't costing us a lot, but we had health insurance to pay for, weddings to fund and other expenses that pop up when you have teenage children who are turning into young adults. Over the years our children became independent and weren't costing us money but I still continued working at the same pace until my moment of clarity when I saw that our outgoings were reduced and my mindset could change along with them. Part way through my last job, my husband was made redundant and decided to embark on full time study accompanied by some part-time work. He went from a full-time, well paid job to a fluctuating freelance income that was extremely unreliable. My job was the rock that I clung to for paying the bills and making sure we had a steady stream of finance. Ultimately this is not a good reason to stay in a job that makes you unhappy - it just led to me resenting working while he stayed home. This is a big one for me - What if I couldn't find another job? What if we couldn't survive financially on my husband's part-time income? What if we used up all our savings? What if our income didn't meet our needs? etc etc. And you know what? the "what ifs" were the thing that held me back the longest and they were the least of the worries in the end. What we worry about so rarely happens and in the end none of them came to fruition - and even if some of them had, we would have coped and found a way through. Ultimately, whether you stay in a job or not is an individual choice. Sometimes we stay when we should bite the bullet and leave, other times the job is taken from us and we are left "hanging out to dry". But really, in Midlife - if we have made good decisions leading up to this stage - leaving our job is a luxury we can afford and taking the leap into the unknown can be the best thing we ever did. If you're thinking about it, my advice would be that we're not getting any younger - just do it! Thanks for sharing, Leanne. I'm glad you took that leap of faith. I have done this several times over - moving to different careers too and I'm happy to report that I survived pretty well. When we move out in faith and with conviction, things do fall in to place. I think it's just being brave enough to take the leap and having confidence in your own abilities - we tend to not give ourselves enough credit sometimes. 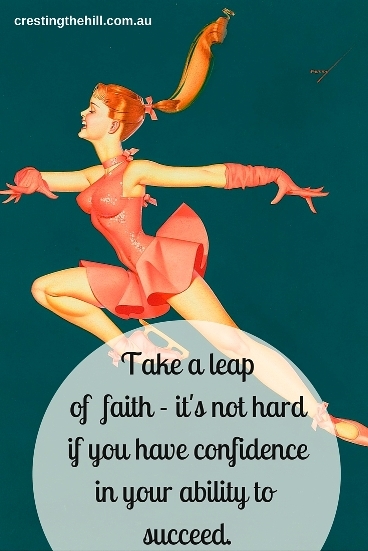 It takes courage to take that leap of faith. At times in my life I should have lept but didn't have that essential ingredient. Now I'm just working for retirement in 3+ years (but who's counting)! I know the feeling Kay - I had 10 years til retirement and that was just too long to hold out in a not so fabulous job. Being brave and taking the leap has definitely been a good decision for me. I'm sure it was so worth it! It sounds like it was one of the best decisions you have ever made! You seem so much happier than you did back then! I absolutely agree - we have to dare and challenge the status quo! Because if not at midlife then when? I mean we have to start living our lives to the max, forget about all the paralysing fears. Way to go Leanne! I'm sure you showed many women that it's all possible. That all we need is to dare a little! thanks Abby - I so agree with the "if not now then when" motto because midlife is a marker and a reminder that life is too short to keep sucking up stuff because we're too scared to step out and see what's out there! Completely agree with your points to leave a stable job. Especially, 'what if' factors drag us behind. There is not point in working with the same pace when your outgoings(financially) are not much like earlier. I also understand Leanne that it might not be an easy decision as you were expert in the field that you were working. This is so inspiring Leanne - I'm the worst at the "what ifs". But it's so important to take that chance - you never know what you'll find. sometimes you've just got to leap and hope for the best Lana - it's surprising how often it turns out well! Not feeling appreciated, by ways of wage rise or praise was a big reason for me to leave my last job. I felt I was giving a lot with much less in return. Well done for making this important step for yourself. thanks Melissa - I think feeling appreciated is a key element to job satisfaction (and a payrise here and there is nice too!) I hope you found somewhere nice to move on to. 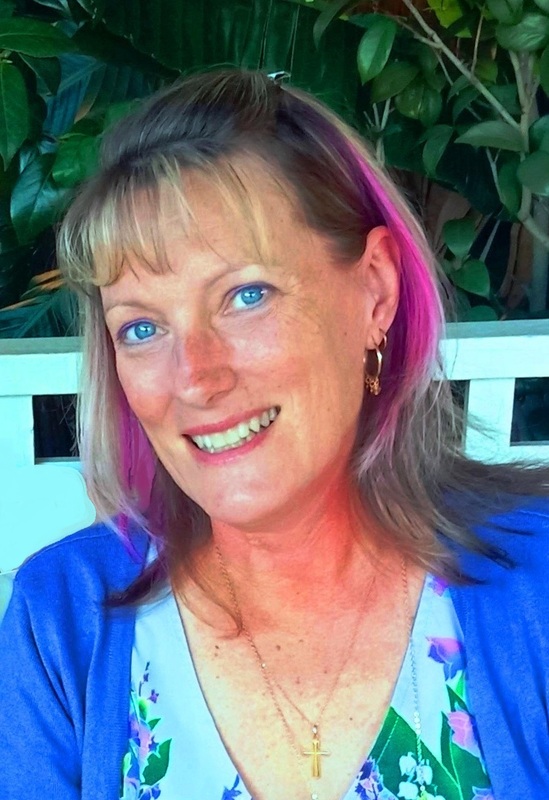 It is amazing what we can do if we just take that leap of faith Leanne. I was in a similar position before I took early retirement and now looking back I am so glad I did. Thanks for sharing your story with us at #WednesdaysWisdom and encouraging us to take a chance! my pleasure Sue - I think we owe it to ourselves to go when we don't feel valued - otherwise it slowly eats away at our self esteem. Its amazing how similar our lives appear to be. i am 49 and I have just quit my job. It was the hardest decision I have ever made but it was for all the right reasons. I worry who will employ an almost 50 year old but its no use . the decision has been made and its time to move on and seek new pastures. You will be amazed at how employable you are Suzi - I was sure I would never find another job and no-one would want an old woman working for them. Surprisingly there are a lot of employers who value our maturity and experience and I'm sure you'll find the same thing - but try to enjoy a break before leaping back in!